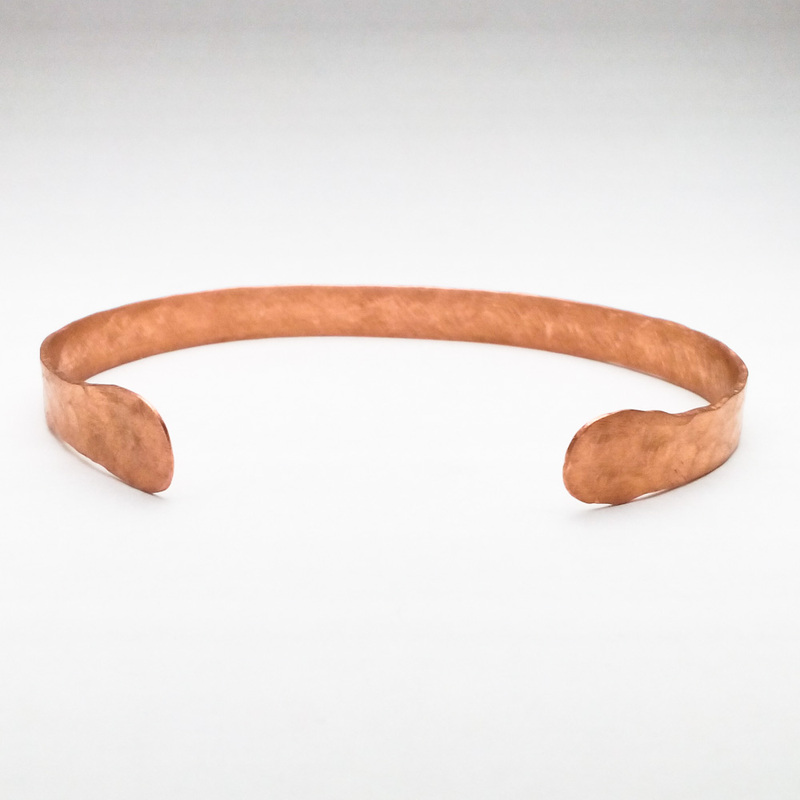 The Mantra Copper Cuff has a very beautiful design that features an open back and is adjustable for the perfect fit on your wrist. Its hammered copper texture looks great and its unisex design can be worn by both men and women. This cuff is very comfortable for wearing every day and feels comfortable on either arm. 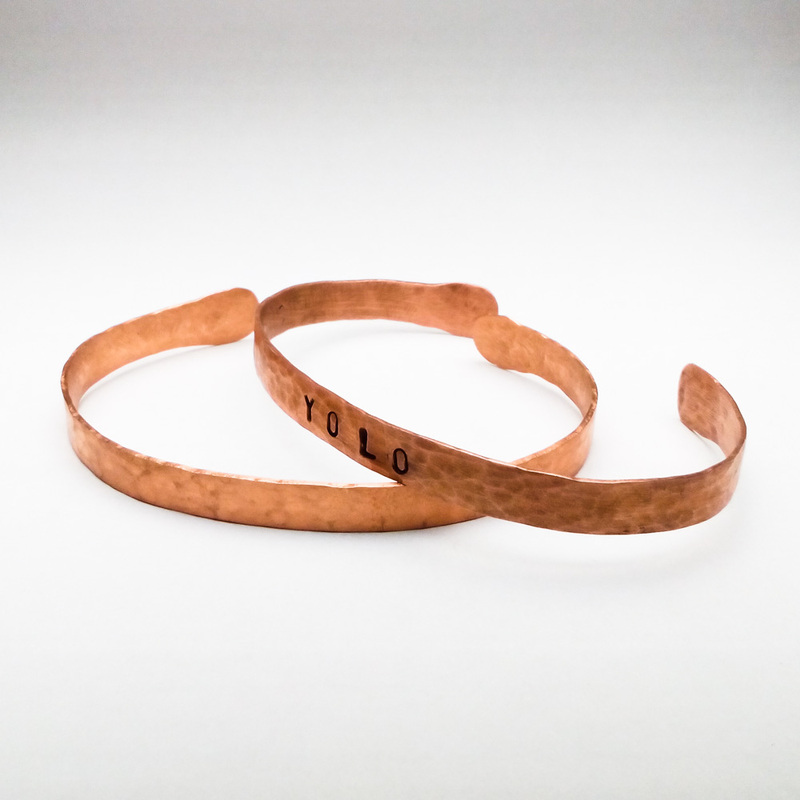 Created by Black Six Jewelry with comfort in mind, the Mantra Copper Cuff has rounded, flat ends to prevent catching on clothing and skin. 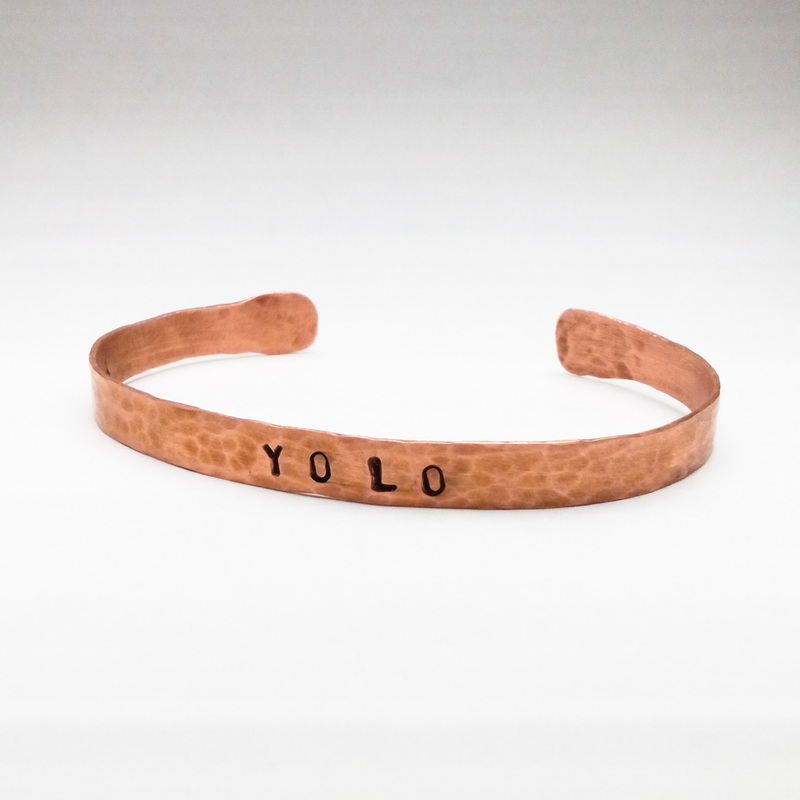 Mantra Cuffs are 1/4″ (7 mm) wide along the length. The hammered ends are a little over 3/8″ (10 mm) wide. This cuff is very comfortable for wearing every day and feels comfortable on either arm. The sizes shown are the inside circumference including the 1/2″ (13 mm) gap. Although Mantra Cuffs are adjustable, I recommend ordering 1″ above your actual wrist measurement for a comfortable fit. Cuff sizing includes a gap of 1/2″ which is included in the total inside circumference. To make it easy to put on or take off, I recommend opening the cuff just wide enough to fit over your wrist sideways, then rotate and slightly squeeze the cuff to best fit your wrist. Not every Mantra Cuff is individually photographed. The cuff you receive will be very similar to the one pictured but may differ slightly due to variations during the fabrication process (hammering, patina application, etc).